You can rest assured that once your Wealth Empowerment Plan is in place, we carefully monitor ongoing progress with The Perpetual Goal Tracker™. This financial goal tracker tool allows us to keep a close eye on your unique plan for financial independence as we update your projections and hold regular process meetings. With your input, we’ll adjust any plans or investments as needed and inform any team members such as attorneys, accountants or other advisors. We’ll also use our expertise to navigate changing circumstances. Contact Peter or Robert today to discover the power of The Perpetual Goal Tracker™. 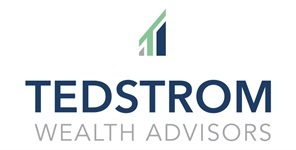 Tedstrom Wealth Advisors and LPL Financial does not provide legal or tax advice. Please consult your legal or tax advisor regarding your specific situation.